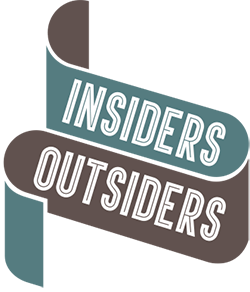 The first month of Insiders/Outsiders was a whirlwind of exhibitions, performances, book launches, press interviews – and a celebration party. From this month until the end of the year, the National Portrait Gallery’s 20th century galleries will have additional wall labels with extended captions to highlight portraits of or by artist-émigrés from Nazi Europe, marking their significant contribution to British culture in the mid-20th century. The selection is also available online as a slideshow, with additional images of and by émigrés from the Collection which are not currently on display. There will be a programme of related events later in the year. The Tailor of Inverness, one of the most widely travelled and highly praised Scottish theatre productions of the last decade, will tour Scotland from 5 April to 11 May. Written and performed by Matthew Zajac, inspired by the life of his father, it is the story of a boy who grew up on a farm in Western Ukraine and became a tailor in Inverness, of how a life and an identity can be reconstructed. His was a forced migration across many borders, subject to the brutal vagaries of war. Also in Scotland, a major exhibition Margaret Gardiner – A Life of Giving opens at the Pier Arts Centre in Stromness on 22 April. Margaret Gardiner was an early activist against fascism and war. In 1936 she became honorary secretary of For Intellectual Liberty, a rallying point for writers, artists and academics in active defence of peace, liberty and culture. Gardiner gifted her unique collection of art, which charts the development of British Modernism, to the people of Orkney, establishing the Pier Arts Centre in Stromness in 1979. The exhibition includes letters, publications and photographs relating to her life and legacy. The month ends with lectures including The Laban Lecture at The Place, London, celebrating the legacy of the modern dance pioneer Rudolf Laban, who took refuge in the UK from Germany in 1938. This year the lecture will be a conversation with Ann Hutchinson Guest in which, in her 100th year, she will reflect on the impact of Laban in her life and work as a leading practitioner, developer, and innovator of Labanotation. Beginning on 30 April and running every Tuesday evening until the end of May, a lecture series at the Coutauld Institute of Art will investigate a particularly significant episode in the long history of British art’s relations with the continent. These lectures will take a close and critical look at the experiences of the émigré artists who came to this country after Hitler’s accession to power in 1933, examining not only their achievements and influence, but also the challenges – not to say obstacles – they faced on arrival. The series will focus on the experiences of key individuals: John Heartfield, Kurt Schwitters, Oscar Kokoschka, Ludwig Meidner and Marie-Louise von Motesiczky. 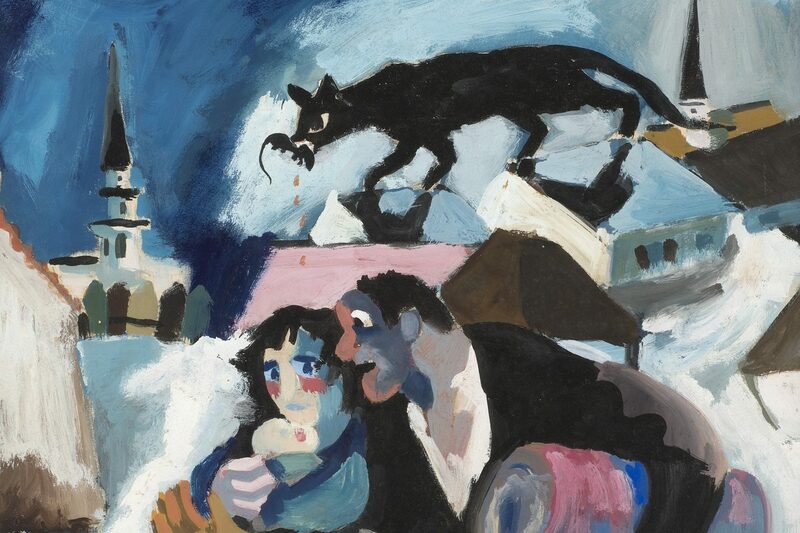 Josef Herman, Refugees, c.1941 (detail) © Josef Herman Estate, With kind permission, Ben Uri collection.